Posted byWholeDude	 July 12, 2017 Leave a comment on SPIRITUALITY SCIENCE – WHAT HAVE YOU TO SAY ABOUT MAN AND WORLD? For meaningful conversations on any subject, people need to find correspondence between given statement and external reality. For purposes of verification, It is not easy to discover or find such correspondence in respect of statements about God and Universe. I would prefer to know from readers as to what Guru Granth Sahib, and the Vedas say about man and world. For example, Seasons are not the same across planet Earth. It depends upon geographical location of individual who observes changes in environment and weather related to Season. These changes are not universal experience. In fact, they may not be experienced in rest of our Solar System. 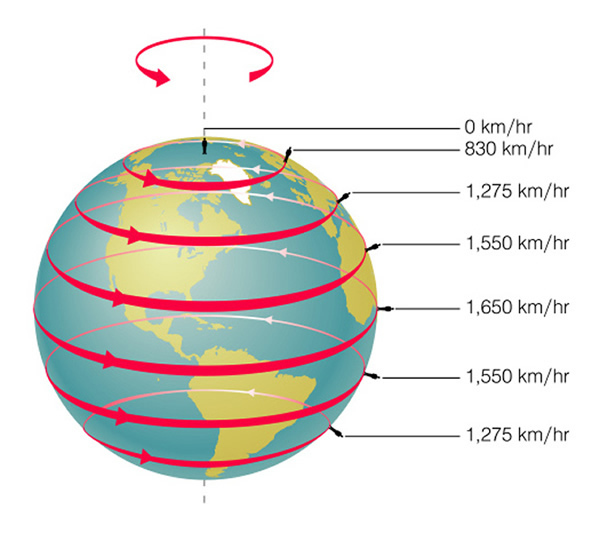 These changes are related to Earth’s rotational spin and axis of rotation. For that reason, I have to ask readers to tell me as to what Guru Granth Sahib and Vedas say about Earth’s rotational spin and axis of rotation. We need meaningful discussion about man and world before proceeding with discussion about philosophical or religious doctrine. I ask you to tell me the name of your place before you tell me the name of your God. SGGS Darshan says the Universe is an extension of HIMSELF. As unmanifest HE is Nirankar. You are quite right. But when you say “destruction and creation ( thapay,uthapay) is the change in his manifested form as seasons and other things change”, you are overlooking the fact that HE is the cause of change of seasons. I certainly have my own opinion of Gurbani, and any write up from you will help in firming it up. An opinion is after all subject to change. I consider Sikhism to be a monist religion. Most people are yet to figure it out that monism is different from monotheism. Monotheism is dualistic. God and Nature are separate. God and Soul are separate. It is not so in Sikhism. This so called visible Universe , accordingly to the Guru, is nothing but the manifestation of HIMSELF (mool Tattva). He pervades or extends HIMSELF in a puran ( complete )way. As unmanifest HE is Nirankar (without form) and as manifest HE us sakar( with form, visible). What we call destruction and creation ( thapay,uthapay) is the change in his manifested form as seasons and other things change. He is neither a creator nor a destroyer. HE cannot create Himself and neither destroy Himself. This universe is just his extended form (purusha). Please try to differentiate between manifestation , extension and creation and destruction. You can create or destroy what is not you-another particle. “The Fundamental Principle of SGGS is that there is only one Supreme Being who creates and destroys the entire universe at His Will, and who also looks after His creation. He does NOT need the assistance of anybody – no god, goddess or any angel. Guru Nanak’s conviction about God (Waheguru) is unwavering and He sees Him everywhere. “On the other hand, the Vedas discuss only deeds – good and bad – and their consequences whether a person will go to heaven or hell after death. Vedas seem to treat hell and heaven as dedicated physical structures. The objective of the Vedas is NOT to be one with GOD, but to secure a place in hell or heaven. There is a god for everything to run the business of the universe. According to Guru Granth Sahib, Vedas do not have any concept of GOD. Of the many shabads about the Vedas in SGGS the following holy Shabads certify this conclusion.